The Considerate Constructors Scheme (CCS) is an initiative that aims to improve the image of the construction industry. The CCS commits those projects registered to enhance their appearance, respect the community, protect the environment, secure everyone’s safety and care for the workforce. More details can be found on their web site www.ccscheme.org.uk. How do we ensure we are a Considerate Constructor? 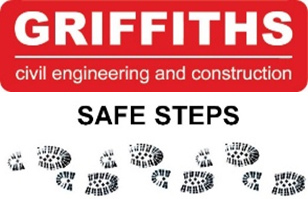 Griffiths is committed to being a Considerate Constructor, taking due regard for our neighbours, employees, stakeholders and anyone else who may come into contact with our projects. During 2016/17 we registered nine projects with the CCS and achieved an average score of 41/50 which represents an Excellent Site. We also scored points for innovation in the Respect the Community category for our Exchanging Places initiative and promoting the Welsh language in the workplace. Our own Sustainability Challenge endorses the five key areas of CCS and ensures all of our projects are working to the standards expected by the Considerate Contractors Scheme.